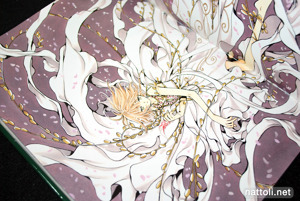 The new art work for the book consisted of the illustrations for the front and back cover, along with one illustration in the inside that had only previously been published in black and white in Weekly Shounen Magazine (週刊少年マガジン). 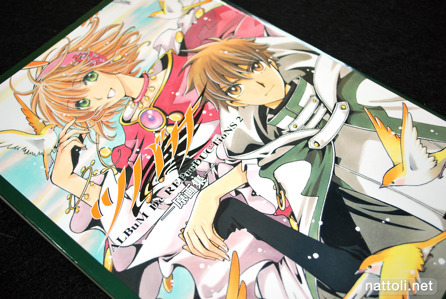 While the first art book collected all the art and deluxe covers from the first 14 volumes, with art from the calendars, and goods, Tsubasa ALBuM De REProDUCTioNS 2 does the same except with the later volumes of the series up to volume 28, and last calendar. Though you'll have seen the majority of the illustrations before in one way or another, their previous incarnations were lower quality prints, like those from magazines, or covered in text in the manga volumes. 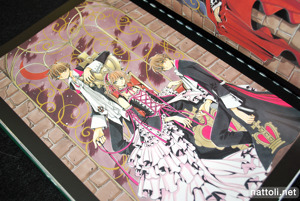 With the detail that goes into so much of CLAMP's art work, I'm sure they'd want to be able to show it in full and uncluttered. 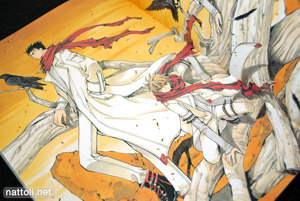 All the illustrations are in full color; none of the black and white ones are included. The index is printed with thumbnails in black and white, but gives details on where all the illustrations were first published. There are also 11-pages of a black and white manga extra, but unlike with the first art book, it's not exclusive to this book. Even with the size and quality of Tsubasa ALBuM De REProDUCTioNS 2, the price still manages to stay low. And considering the popularity of Tsubasa Resevoir Chronicles I wouldn't be surprised if this one also gets published in the U.S. at a later date. Generic CLAMP at it's finest! I'm so numb to their artwork now. I don't think I could ever buy another one of their art books. It's starting to feel a little dated to me (their style). I dunno, maybe it's just me! Thank you! Great review as usual! A very nice website for art books that you made! Thanks! 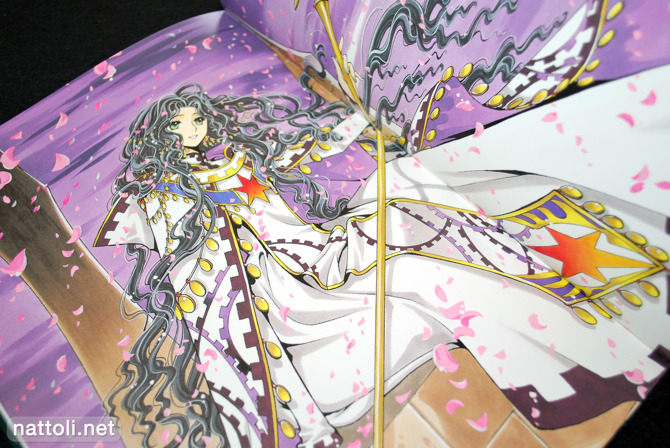 I notice that most of clamp art books are published in America. I think once the American companies publish it, both the Japanese and American art book's prices are lowered. Yeah, it is true that American art books sell for way less and it as if no one buys it. So buying it at a high price isn't worth it. Neither is the Japanese edition of it. Thanks! That's a very usefull review for me. 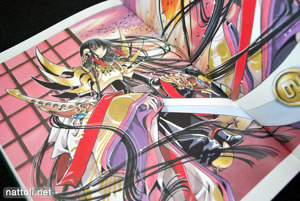 Have been uncertain about buying this artbook, but now I'm sure I need it.